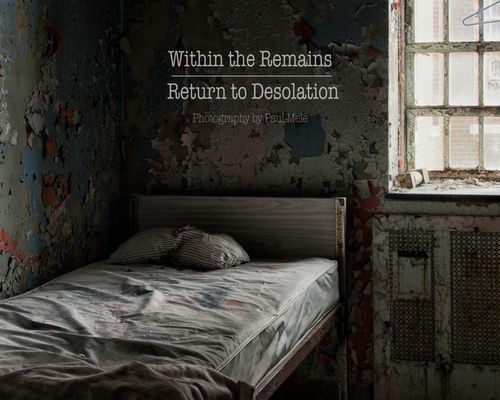 "Within the Remains" and "Return to Desolation" is a two part series consisting of 32 photographs shot over a period of two and half years. The KPPC has been closed since 1996 and has thus become a playground for vandals, urban explorers, ghost hunters and photographers. The book contains extra images omitted from the gallery shows and the website.